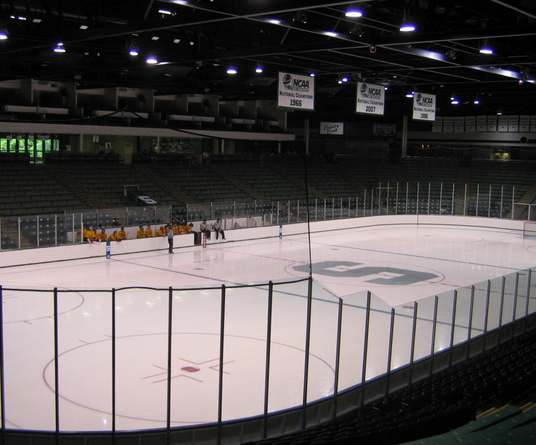 The other night I had the opportunity to attend my First Spartan’s Hockey game at Munn Ice Area, located on the campus of Michigan State University in East Lansing, Mi. Hockey has never been a favorite sport of mine, but I went anyway and am very glad I did. We were playing Penn State, unfortunately we lost; but the entire experience was amazing. My friend had been given tickets to the game from a client, we had a suite. When we arrived to the game we all got suite passes and lancets to wear around our necks. The escorted us to an area with elevators and directed us on where our suite so located. The suite was awesome! When you first walked in there was a kitchen area with food catered by the MSU culinary program, with comfortable seating for our entire party. The was also a section of the suite that had traditional stadium seating overlooking the ice. I thought to myself that this is the only way I want to see a hockey game again in my life. As I mentioned earlier the MSU Culinary program catered the game for us. We pretty much ordered regular stadium fair. There were mini sliders, hotdogs, homemade chips with an assortment of dips and condiments. Our refrigerator was stocked full of our favorite beverages. Every detail was planned out exactly how we needed. There was an attendant who made sure everything was how we liked it who regularly checked up on us. The actually game was a lot of fun to watch. The crowd was energized, and when MSU scored everyone went wild. The Music would play loudly, the large screen would show a picture of the player who scored, buzzers were going off. It was a riot! The game was played aggressively, there were a lot of great hits and it moved at a blistering pace. The activities in the area between periods were a lot of fun too. It looked like Shaheen Chevrolet sponsored a lot of the activities, one of their cars was actually driven out on the ice. There were giv-a-ways, raffels and all sorts of fun stuff. It really was a lot of fun. I also enjoyed watching the Zamboni. They really are interesting vehicles, it definitely was a highlight to see how efficient they are at re-finishing the ice. 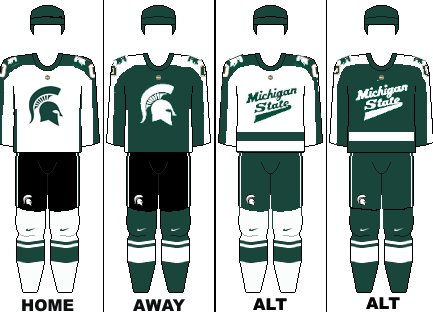 Unfortunately, The Spartans lost the game that night. They played well, just caught a couple bad breaks. But all in all the night was a success…for me at least. I loved every second of the whole experience! If I am invited again, as long as there is a suite involved I’ll be there. The suites kind of spoil you!